Sunstar Tonic Shampoo with Conditioner 2 in 1: This series of hair-care products for men, which includes shampoo, body wash and deodorant, was developed based on the idea of creating a cool, invigorating sensation and scent that refreshes both the body and the mind, creating a positive, energized attitude toward yourself and life. 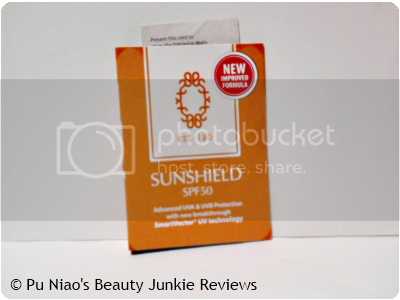 It was developed through Sunstar's own unique technology and is highly evaluated by professionals in the hair-care field. It's actually a clear shampoo, the scent of mint/menthol isn't that strong, but it's there. 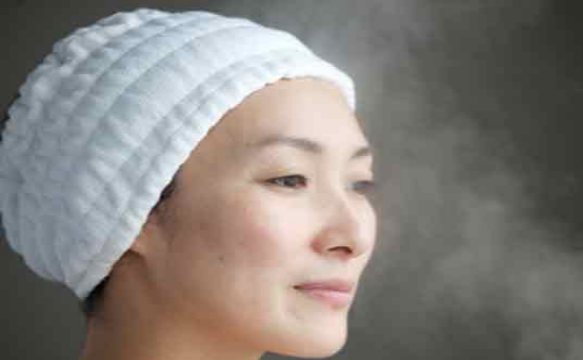 Gives scalp a cooling and refreshing feeling. Suds easily and easy to wash off without having to take too much effort. VERDICT: The shampoo itself has this wonderful minty/menthol scent as soon as I cut open the sample sachet. Although the scent wasn't as strong as the Sunstar Tonic Shampoo Energy Menthol I have previously reviewed, but the scent is still there. It just sort of takes a little longer for the scent to slowly waft out. Shampoo has a clear consistency and the texture is semi-watery, but doesn't spill that easily. It lathers and suds up pretty decently and gives the scalp a minty, cooling and refreshing sensation to it. It feels as if your scalp is thoroughly cleansed in one wash.
As I have oily scalp, I find that this shampoo works wonder for my hair-type, despite the Japanese description has the word 男性, which meant it's for male users. I find that it works just as equally well on my scalp and hair. As I have long hair, I just simply rubbed the shampoo in between my hands until I see suds and run my hands over my hair/scalp repeatedly until my hair is totally covered in shampoo suds in which I slowly massaged the shampoo deeply onto my scalp. And because this shampoo sample comes with Conditioner already, I find that I don't really need to use a conditioner or hair treatment product as well. It also helps that I already used conditioner the previous day, so my hair didn't get all that tangled up. After applying the suds to my hair/scalp, I left it on while going on with my usual shower activities which includes facial cleansing, a bit of loofah-loving here and there. And along the way, the shampoo slowly starts to give my scalp this wonderful minty cool and refreshing sensation. And even immediately after washing off the shampoo suds, the feeling of minty cool and refreshing stayed on, making it feel like my scalp is still being cleansed and refreshed. And in the midst of washing off the shampoo suds, I did noticed that hairfall was less, as compared to using other shampoo. And once out of the shower, the minty fresh and cooling sensation in my scalp lingered on comfortably until my hair dried out, whereby my hair still didn't look nor feel tangled at all. And my hair actually looks cleaner and much more healthier too. Not to mention that tingly sensation from using the shampoo was a welcome change, as most shampoos that promises with ingredients of menthol and anything menthol related ended up not giving that tingly feeling at all. What I personally loved? Since I have a ceiling fan, I tend to sit underneath the ceiling fan directly to let my hair air dry naturally, instead of using a hairdryer. And allow me to tell you that the tingly and cooling sensation actually intensified so insanely, I was instantly happy and wishing my hair never dried up at all. Yes, I wished my hair kept staying wet even though I am sitting underneath a ceiling fan on full blast. I love that tingly and cooling sensation on my scalp, especially when in contact with ceiling fan, as it feels like my scalp is being cleansed really thoroughly. And my scalp didn't feel itchy at all, even though I have itchy scalp with dandruff issues on and off. WHAT I THINK: My mind is so blown away with this shampoo that comes with a conditioner already in it. And I was expecting this one to not work as intensively as the other one without a hint of conditioner. 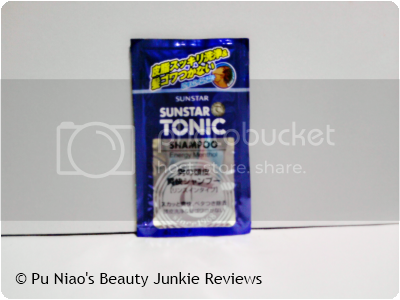 WHERE TO REDEEM SAMPLE: I previously redeemed the samples from Sunstar Tonic Facebook page at https://www.facebook.com/sunstartonic.sg around 22 August. But the sample exercise is now over. However, stay tuned to Sunstar Tonic Facebook page for future sample exercise. This review is proudly sponsored and brought to you by Confirm Trading. All external images were taken from Kinohimitsu's website and copyrighted to them. I do not own the images. Note that all views presented here are of my own and whether the product is sponsored or not, it's honest throughout. Only that effects will vary on the individual when consumed. 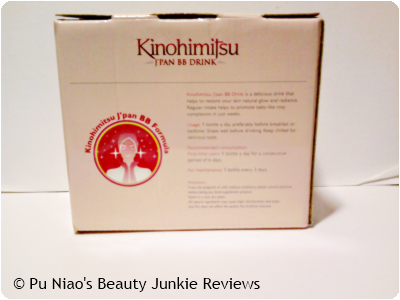 Kinohimitsu J'pan BB Drink: The key to gorgeous looks is to have healthy, glowing skin. 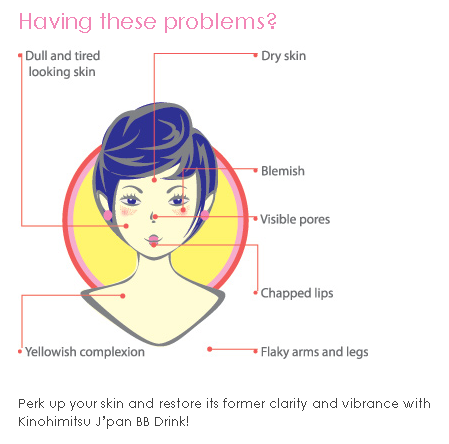 Kinohimitsu J’pan BB Drink is a functional, instant drink that helps restore your skin’s natural glow and clarity - not only on the face but the entire body, including the back, hands and legs. Here's a look at the bottled beauty drinks. I love how the pink is used to envisioned the pink glow on our cheeks. The BB Drink is actually brownish clear in color, almost similar to how tea looks like. But the taste is actually pleasant and sweet and I absolutely adored the taste. A clearer look at the BB Drink again. VERDICT: First of all, before I go any further, kindly allow me to ask some questions regarding your skin/health appearance. Do you suffer from these skin/health issues? For me, with the exception of dry kin that is only prone to my limbs, I practically fit all the above mentioned issues for quite a few years now. Needless to say, it's not like I didn't try to salvage my skin/health issues. It's just that most times, like you, I have tried so many natural remedies and skin/health products, but without seeing any visible or improving results. And when everything seems lost, Kinohimitsu saves the day. 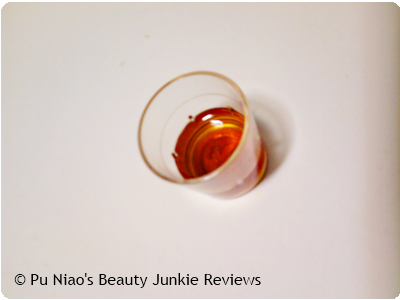 Yes, I am talking about Kinohimitsu J'pan BB Drink. 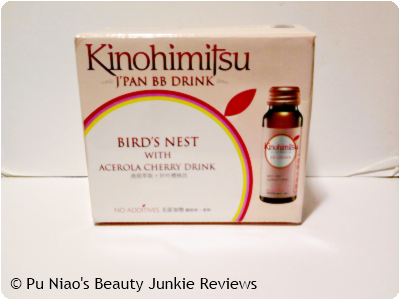 Logically, we all think that the best solution is to just take bird nest drinks for healthy skin. But alas in this day age, just having better skin isn't really enough at all. On top of the regular want for healthy looking skin, we all would also like one thing in common. Rosy cheeks that looks natural and healthy with a glow. And hence, this is where Kinohimitsu J'pan BB Drink comes into play. And this drink doesn't just contain only bird's nest alone. In fact, it contains a lot more beneficial ingredients and something that is much better than bird's nest, it's called "Hydrolysed Bird’s Nest". But what is "Hydrolysed Bird’s Nest"? In short, it's Japan patented ingredient that is known to be rich in Epidermal Growth Factor (EGF), sialic acid (200 times higher than royal jelly), amino acids and minerals which are essential to promote skin cell regeneration, enhance skin healing and promote youthful-looking skin. And along the way, "Chicken Cartilage" is also known to be a source of hyaluronic acid as well. And all along, we probably have thought that hyaluronic acid is literally an acid, but albeit one that is beneficial to skin, not just as a beauty product only. And along the way, this Kinohimitsu J'pan BB Drink is good in a sense that there are no additives contained within the drink. Let's face it, throughout our teenage years until womanhood, we all are mostly guilty of feasting on fast food during our school years to the occasional indulgence in our adult life. And trust me, artificial foods aren't really helping our skin or our health at all. And this is why you shouldn't belittle Kinohimitsu J'pan BB Drink in anyway. The drink itself is actually easily absorbed into our body due to the fact that it is a liquid formula that tastes sweet and heavenly to the tongue. (*drools*). And sometimes, our throats aren't just that accustomed to swallowing skin/health pills. I mean, why go through so much torture to get a pill down when you could have the same good benefits that are better, but in the form of a beauty drink? Plus the fact that it is so convenient that you can decide exactly what time you planned to drink it. If you are someone who likes to ingest beauty drinks in the morning, you can easily drop a bottle inside your bag and drink it before work or school starts. Especially so, if you are someone who only decides to start breakfast just before work, to give yourself that extra push. I know, I hated eating breakfast as soon as I woke up, since my mind is still technically asleep in LaLa Land. Although personally, I prefer to ingest this before bedtime as during night time when we are asleep, our skin loses water easily and that is definitely a much better time to drink this and let it do it's magic while I go off to LaLa Land. Day time consumption isn't a wise choice for me, as sometimes, we can actually ate lunch that isn't really on the healthy side for us, and I personally think a bad lunch "nullifies" all the good this drink can give me. Although you may scoff at health drinks, but I personally think this would definitely be a better choice than consuming chinese herbal concoctions for healthy and beautiful looking skin. (Urgh! The bitterness of chinese herbs..) And I am seriously someone who isn't a big fan of anything bitter at all. 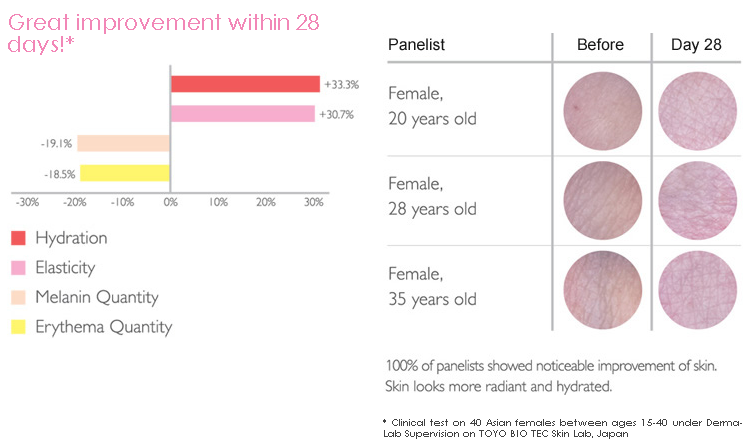 And clinical results have shown that there are improvement on the skin, in which it looks more radiant, hydrated and a natural rosy-cheek complexion. Although what I can assure you is that, you have to start as early as 20 years old, as that is the age when everything in your skin will start going downhill without you knowing immediately. So, before your skin lose all the elasticity, youthfulness and hydration, it is definitely best recommended to start taking care of your skin/health as earlier as you possibly can. Besides, the other reason is that, as we grow older, our skin get into more contact with beauty products that we zealously applied to. And this is also another factor that gives bad skin. 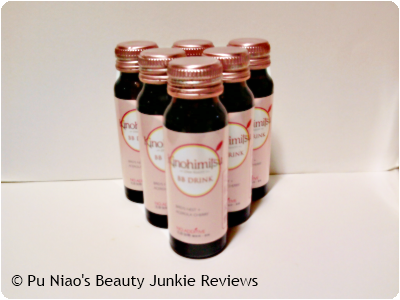 And if you are someone who totally abhors beauty products due to the prolonged damaged it might bring you due to the ingredients, than this Kinohimitsu J'pan BB Drink should definitely be in your "Must Buy" list at any time. What I personally liked, love and adored? First of all, I wasn't expecting the taste to be so yummy and heavenly. So, I was a little surprised when I drank it for the first time. It is absolutely divine and the taste isn't overly sweet with a fruity taste. 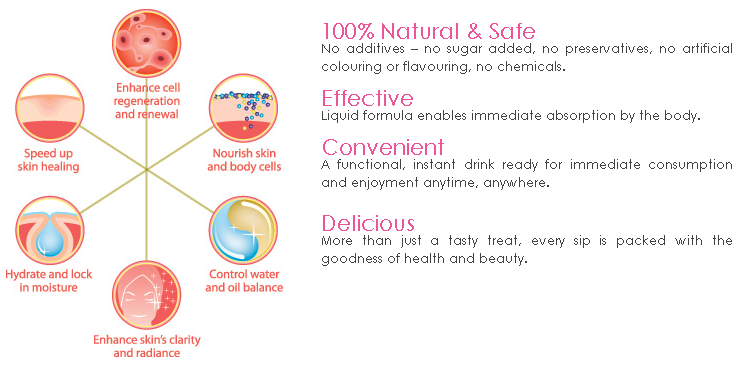 There's nothing herbal or medicinal scent to it as well, another bonus factor in choosing a good beauty drink. And I prefer to ingest beauty drinks before bedtime as it works best for me, I found that my skin doesn't look that chappy and listless in the morning. And also, some of my old blemish scars that doesn't seem to fade away is starting to lighten up now, which is amazing, considering the countless beauty products I have been trying on and off for so many years, but to no progressive results. Add in the fact that I am essentially a pale looking person, so it's rather upsetting to hear comments that ranges from "Are you sick?" to "Why are you so pale in the morning?" 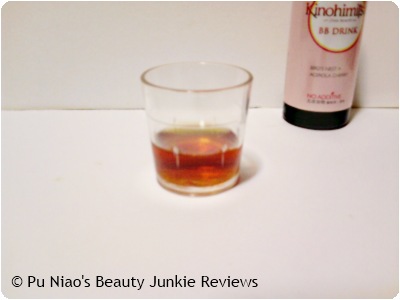 But ever since drinking this Kinohimitsu J'pan BB Drink, I found my skin tone looking better. So far, I haven't seen the rosy-cheeks complexion part yet, since it's only a mere 6 days I have started using it. I am absolutely sure I will no longer need to use anymore blush when my skin attained that rosy and dewy complexion as long as I continue to drink this wonderful little drink regularly. And along the way, I am happy and glad that my skin doesn't suffer any sort of side effects from ingesting this drink too. Normally, my skin would flare up and get all irritated looking and red from using or trying certain products for the first time. But I am glad that the redness I get now is actually from my close-to rosey-cheeks complexion, which made my overall skin color looks so much better and healthier. And I would love to have that pink rosey cheek glow that you see on the bottle itself. That would be a nice shade on my face to complement my pale-as-a-ghost complexion in the long run. USAGE: 1 bottle a day, either before breakfast or before bedtime. Best served chilled. For first time user, take a bottle for 6 consecutive days. For subsequent usage, take a bottle once every 3 days. This meant for the first month, you are drinking a total of 12 bottles a.k.a 2 boxes per month. Followed by 8 bottles from the 2nd month onwards, which meant you can stock up 2 boxes every 2 months as you need need to consume 1 bottle every 3 days for maintanence. 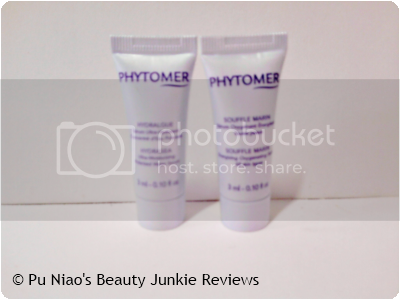 Less than S$100 twice monthly just to have healthy and beautiful skin, definitely worth the money spent! Estee Lauder Idealist Even Skintone Illuminator: The first fast-acting Serum from Estée Lauder Research proven to dramatically reduce the look of uneven skintone such as redness, acne marks, dark spots, sun spots and discolorations. Skin looks noticeably clearer and brighter, vibrant and more even-toned. The scent is actually a cross between fruit and floral, which is a surprise since the product itself looks light beige and creamy, but with a consistency and texture that is watery-based. Absorbs easily after rubbing into affected areas of the skin. VERDICT: First of all, the scent is actually a cross between fruity and floral despite the product itself looking all light beige and creamy. But the consistency and texture is actually more towards watery-based, just a little bit watery, but doesn't drip unnecessarily. Which makes it perfect for my oily skin, since oily skin and actual thick cream-based facial products isn't really the best way t go. 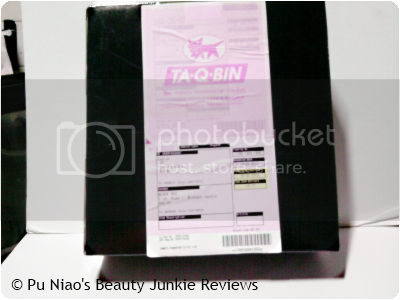 The scent doesn't border on cloying and it actually somewhat dissipates a little after application on the skin. But still, you would actually see a thin layer of the product on your skin, but it doesn't feel as if it is clogging your pores at all. I'm guessing that it's the so-called "Illuminator" part that makes it looks as if there's a layer of the product left on your skin. What I like about this product is that it doesn't make my pores feels clogged at all. And to begin with, I wasn't really a believer that it would help even out my skin tone, as I have been trying out so much similar facial products before. So, I decided to test-patch on this old but faint blemish cars somewhere around my forehead area. And after a week of using this religiously at night before bedtime (I avoid using products such as these in the daytime as I sweat more easily), I noticed the old blemish scar on my forehead actually lighten up quite well. Even the other blemish scar underneath my chin is lightening up too. And despite hours after applying this on my old blemish scars, I don't see nor felt any sort of pore clogging going on, which is a good thing as the product actually looks more like cream-based even though the consistency and texture is definitely watery-based. And when I woke up in the morning, my face didn't really look anything in the region of oily nor greasy either. And luckily, no halo ring of sebum around my nose/mouth area too. Phew! 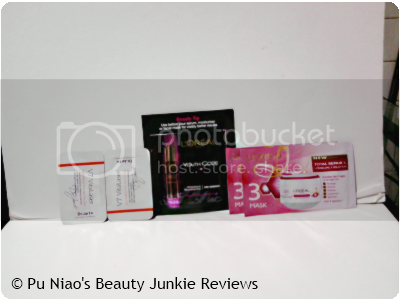 Although I personally cannot really say much about the hydrating part despite the product itself containing the word "Serum" on it's packaging. Hence, I applied my regular toner, followed by a facial moisturizer before applying this Illuminator on my skin. And you should be aware that you have to apply your facial products from lightest to heaviest, so that the lighter product gets absorbed easily and be able to work it's magic. If you are someone who likes to apply product(s) such as this on your face/skin first followed by your moisturizer, chances are, the moisturizer would have been unable to do it's magic. Which is to keep your skin hydrated. I found that the best method would be to apply your usual facial moisturizer first and let it get absorbed into your skin. Then, you apply this Illuminator on the troubled areas. The reason why I applied this product last is that, despite what I've mentioned about this product being light and watery-based, it still looked heavy to me. Hence, the decision to use this last on my skin. But if you used this before applying your usual moisturizer and found that it is a better method, do comment and let me know too. 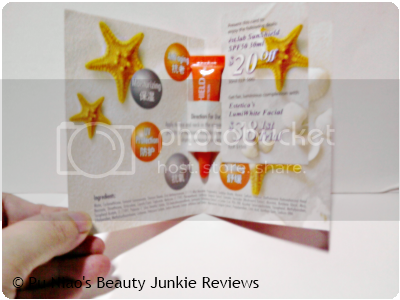 WHERE TO REDEEM SAMPLE: I redeemed this sample in September last year (2012). 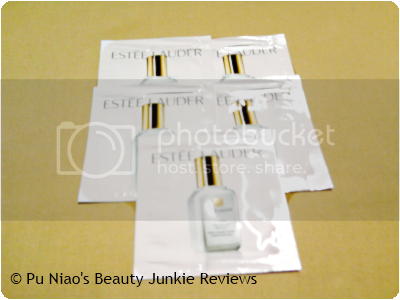 Although the sample exercise is over, I still recommend going over to Estee Lauder Singapore Facebook page at https://www.facebook.com/EsteeLauderSG and Like their page in order to be notified of sampling exercises. 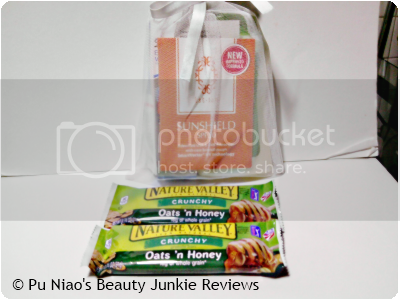 It's a rather sweet surprise for this week as there's quite a good amount of samples, including one that comes in a form of a free Beauty Box. Called the Black Box, users can get it absolutely free, provided you sign up for a subscription. And upon receiving the first inaugural February edition of the Black Box, all you need to do is wait for the accompanying survey/questionnaire that you will receive with the email you signed up with for the box. Keep replying to the survey/questionnaire email and the Black Box will continue to be free. How sweet is that for poor blogger(s) like yours truly? And as I've mentioned before on a few occasions, there's no rule that states that just because you are a beauty blogger meant that you have to literally purchase beauty products in their retail size just to review it. Samples will do just fine, because there's a reason why samples existed. It's for us to try, use and review and determined whether we will want to consider buying it in permanently/long-term. And I don't really agree with the fact that one should spend big bucks to buy something and try, only to end up discovering it's not compatible with our skin type. And despite the fact there are people who don't mind having a chance to use something that might have been used a few times, I personally don't think it's nice. What if in the event I had a skin problem and I end up passing it to the next person who received something I only used a few times? I would really feel bad about it. Unless I transferred a small amount into re-usable pots and containers, which can solve the problem of passing on unwanted germs. But if I can have the choice, I would rather give out something that's brand new than used. WHERE TO REDEEM SAMPLE: I previously got to know about this sampling exercise from a dear FB friend through a link to the relevant FB wall post (http://on.fb.me/WgwlhW). So far, there's no indication of any deadline for redemption or updates on the samples being out, so I figured that if you haven't requested for the sample, you might want to do so at the previous link I've stated. Be fast wor!! 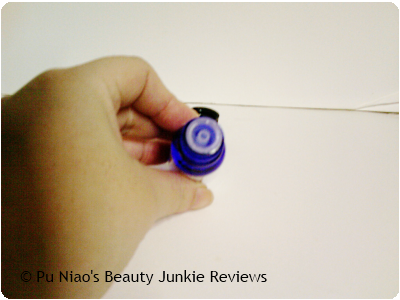 It's the Avance Duo Demaquillant Super Instant Remover comes in a cute 10ml bottle with a visible two-layer concoction. Need to shake before using yah~ And besides, you don't really need a humongous amount to remove eye make-up. Just a generous but small amount will do, you are trying to remove eye make-up, not bathe your eyelids in make-up removal solution after all. WHERE TO REDEEM SAMPLE: All 200 samples have been fully redeemed. However, go over to Avance Singapore Facebook page at https://www.facebook.com/AvanceSingapore and Like their page as a fan to be notified of future and up-coming contests, giveaways, sampling exercise, for example. I have to admit that despite my gently pressing and probing and with the address of the sender stamped behind the envelope, it was still a challenge trying to guess what sample it was. Until I got to the soft, squishy but not yet over-spilled part that had me guess right. 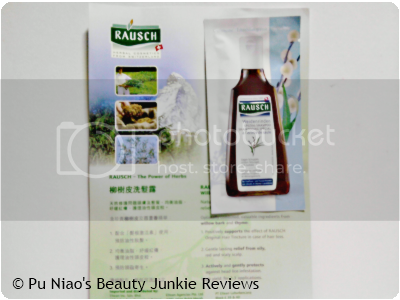 Rausch Herbal Haircare sample!! 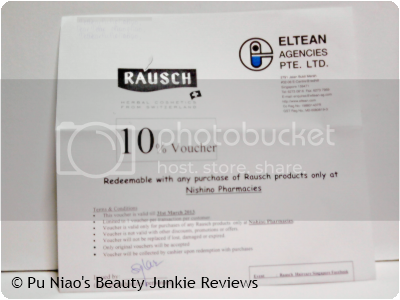 It comes with a letter that gives me 10% discount with any purchase of Rausch products only at Nishino Pharmacies. I requested for the Rausch Willow Bark Treatment Shampoo. 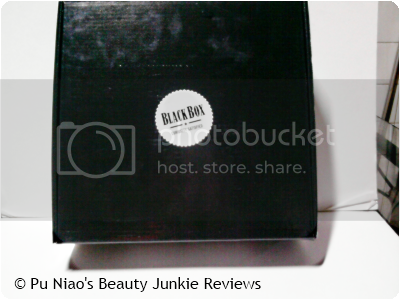 So, I finally received my free Black Box, a free beauty box in Singapore. What I like is that the people behind Black Box prolly did their homework, in the sense that there's a card inside detailing what are the items in the box at a glance, without unwrapping almost everything. And the vouchers? They are safe and secure inside a zip-lock bag too, kudos!! 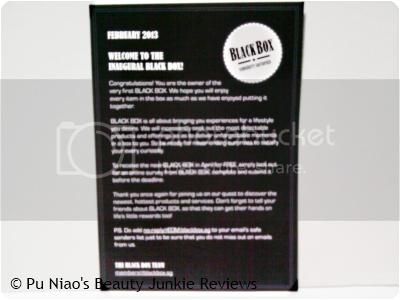 A card welcoming subscribers to the first Black Box in Singapore, absolutely free. As long as you finished the survey/questionnaire they emailed you each month regarding the usage of the items within, you will continue to receive the box for free!! And not forgetting Darlie's calling card too. A look at the card from Black Box detailing the Black Box. 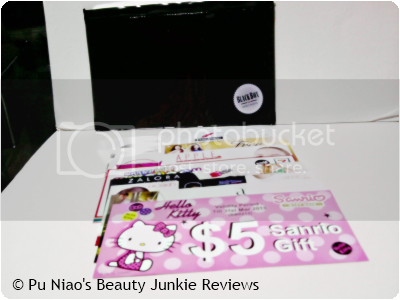 And at the back of the card, detailing the list of items inside the box itself. Vouchers that came free with the Black Box itself. Noticed the black zip-lock flat bag in the background? The vouchers came in that zip-lock bag and I love anything and everything black. WHERE TO REDEEM SAMPLE: Apparently, I checked the website at http://www.blackbox.sg/ and it seems to be open for subscription again. So, if you missed Feb's issue, subscribe for the March one. All you need to do when you receive your 1st box is to wait it out for a survey/questionnaire email from Black Box. Fill it in and send it back before it's stipulated deadline and you get the next box for free. So on and so forth, what are you waiting for? I've received my Black Box already, have you gotten yours? Lactacyd White Intimate: Sweat and excessive friction from tight clothing can darken the skin around the intimate area, causing self-consciousness, decreased confidence or inhibiting intimacy. Made with natural whitening ingredients – plant based Actipone-B and marine-based Algowhite to gently lighten the skin around the intimate area. Clinically proven to give lightening results in as little as 7 days. And enhanced with a gentle combination of Lactoserum + Lactic acid, which is dermatologically tested to be safe and specially formulated to provide cleansing and long lasting freshness. The wash itself has this clean and light floral scent to it. With a really watery consistency that suds up pretty well, it washes off easily too. 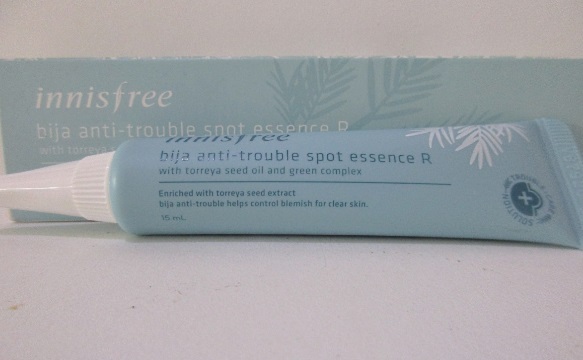 And hours after using it, I don't feel any skin irritation nor dryness at all. In fact, I felt even cleaner than I usually am. VERDICT: The scent has this really clean and light floral feel to it. Like fresh floral that makes you think clean and refreshed at the same time. 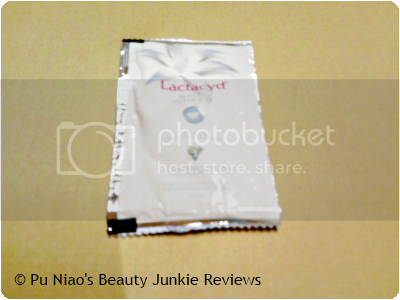 And unlike certain feminine products that might smell either heavily of certain scents or just smell downright weird, this Lactacyd White Intimate Whitening Daily Feminine Wash smells just right for feminine use. 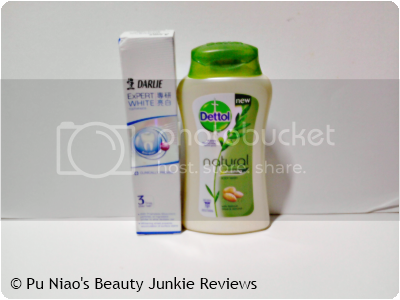 Personally, I've come across my fair share of various whitening products when I was around 12 years old until now and most times, I don't really bother with them since I am already so pale-looking like a ghost not by my choice. But whitening on our intimate areas, that sounds and feels awkward already. The wash itself has this really watery and runny consistency, so you don't really need to pour out a lot each time you use it. And if you are using a sample sachet, you can actually use the sample for up to 2 or 3 times before it finishes. You're cleaning your intimate area, mind you, not having a foam party in there. So, there's no need to pour out too much in the first place. And for those of you who are still hell-bent on using regular soap bars and body washes to wash your intimate area, take note that you shouldn't do so. Only intimate washes have the right pH that is meant for your intimate areas, whereas soap bars and body washes are meant for body washing only. Or you will face "soap burn" faster and easier than you least expect it. Yes, using products not meant for your intimate area do cause "soap burn" and what do I meant by "soap burn". It's this feeling that makes your V-zone feels as if it's been exposed to the 4 elements in the weather, resulting in this weird feeling that it feels too over-cleaned to the point it hurts. And then, there will be this god awful burning sensation that makes you feel as if your V-zone is itchy and on fire, even so it isn't happening at all. That's the result from using products not meant for your intimate area due to the wrong pH that is different to the pH that is in your V-zone itself. Trust me on this, I didn't thought there was a difference when I was still schooling until I first tried Lactacyd. The instantly relived sensation and clean and refreshed feeling I got when I tried Lactacyd for the very first time was really visible and can be felt when compared to using regular soap for my V-Zone. And all along, I thought feminine wash are mostly for females who are mostly from the early middle age onwards due to their hectic lifestyle. But in fact, all females from any age group can use it, whether you have your monthly menstrual cycle or not. It keeps your V-zone constantly clean and refreshed without making you look as if you are walking around with a full bladder at all. Although this is the first time I am using Lactacyd's first improved and released feminine wash, what I like is that it's actually rather mild on my V-zone. So, if you are someone who hasn't tried any feminine washes before and wants to give it a try, you can actually try this. I didn't feel any discomfort, dryness, itchiness nor any unwanted effects from using this at all. Let's just say, I have this wonderful clean and refreshed feeling and sensation I can possibly even imagine. And despite hours after using this, I still feel the same clean and refreshed sensation too without any side effects. Although personally, I don't really think much of the "whitening" factor. I mean, the last time I saw anyone's V-Zone that looks lightened, it was because of a link that I randomly clicked on through Google that brought me to this Jenna Jameson wallpaper with her legs open wide for everyone who wants to see. But I won't go into any more detail regarding Jenna Jameson as I was looking for animated CGI wallpapers but apparently, someone who upload it cannot tell the difference between CGI and Jenna Jameson at all. It was a rather "traumatic" experience, I dare say. But then, I don't think it should whiten your V-zone to the point where you think and feel it weird and awkward. What I am guessing is that it makes your V-zone looks "clean" at least you won't feel grossed out when it's time for your monthly menstruation cycle. WHAT I THINK: Mild, with a clean and light floral scent that doesn't irritate at all. The feeling of cleanness actually lasted pretty long. WHERE TO REDEEM SAMPLE: Sampling exercise has already ended in January. And for now, Lactacyd Singapore Facebook page at https://www.facebook.com/lactacydloveyourv has come up with a new app/program called Become our VIP. Click on the link in the app and you will be brought to Lactacyd's website at http://www.lactacyd.com.sg/vip-club. Just sign up as a member to be eligible for contests, giveaways and many more activities. Redflo Camellia Hair Treatment: All hair types can use a boost of this rich moisturizer. Restores vitality and shine for weakened, fine hair with Camellia oil and Camellia water. The scent is just as good as the shampoo itself, looks thick and creamy but yet able to be washed off easily without the usual greasy/oily feeling and sensation on my skin. VERDICT: First of all, the scent is simply marvelous. It's just as good as the shampoo itself, with a sweet flowery-esque scent that doesn't make you feel nauseous. Just like the shampoo, it isn't very heavy once the treatment has been washed off and there's a faint lingering and pleasant camellia scent that actually makes you feel like a spring goddess. It smooths out my dry, frizzy and rebellious hair from just one use and the smoothness and silkiness of my hair maintained until I used a shampoo to clean my hair and washed it off. Although the product looks thick and creamy, I am able to wash it off after usage without having my skin feel greasy nor oily. My hair actually went from rebellious to tamable in just one use and I didn't experience any hair tangling from the moment I stepped out of the shower until my hair dried. And it feels like I can comb my hair for once without having to see hair fall on the floor or on my comb. And there's still faint lingering scent of camellia playing hide-and-seek on my hair as I tried to sniff the scent. Despite the treatment looking really thick and creamy, what I like about it is that I don't need to rinse my hair repeatedly to get it out of my hair. While other hair conditioner and treatment seems to take longer to wash out, this Redflo Camellia Hair Treatment is actually making hair rinsing a peasy easy thing to do. Which I personally think is lacking on some conditioners and treatment that I used to try and used before during my school years until I started working after school. Those were the days when my back-acne developed due to remnants and residue of hair conditioners and treatment not thoroughly washed off my back due to my long hair. Like like what I mentioned in my previous review of the shampoo version, I think it's rather unjustly to compare 2 different products. Whereas Tsubaki's hair products have a slew of natural essential oils in their products, Reflo has 2 which is namely Camellia Water and Camellia Oil. And sometimes, it is actually worrying to wonder how a product will smell like if there's way too much essential oils present in it's "ingredient" list. Will it be too weird or will it smell as if there's something lacking because of too much scents incorporated? 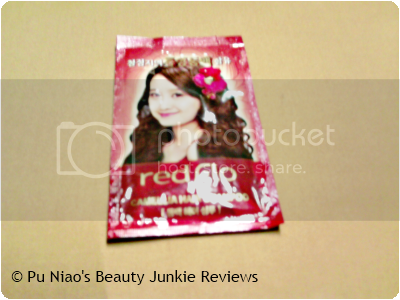 And because it is just one sample sachet I got, I wasn't that convinced it can tame my rebellious hair. But I was proven wrong, even hours after my hair has dried. Still smooth, silky and manageable which makes me wonder why such good hair products sometimes isn't readily available in mainstream suopermarkets, except for Somang counters. And do note that using hair treatment products actually lets my hair stay smooth and manageable for a couple of days, unlike regular conditioner that I have to use on a daily basis just to ensure my hair stays that manageable. WHAT I THINK: Faint flowery scent without bordering on nauseousness and it keeps my hair feeling silky, smooth and manageable. 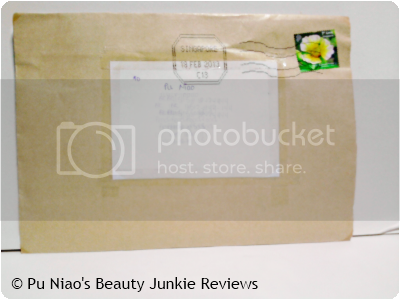 WHERE TO REDEEM SAMPLE: I previously got to redeem a Eco Clinic Organic Hair Treatment Oil from Somang sometime in July last year. 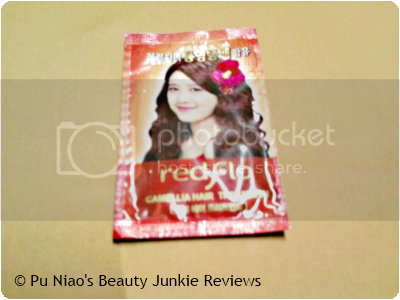 But because the stocks still haven't arrived at their counter, the (China, since she doesn't sound local) SA gave me a sachet of this Redflo Camellia Hair Treatment together with a sample sachet of Redflo Camellia Hair Shampoo so I won't feel like I made a wasted trip. And I personally felt it was really nice and sweet of the SA to do that. Most SAs I've encountered will just tell me that sample stocks aren't available yet and hope I would go away empty-handed. But not this Somang SA from Woodland's Causeway Point. Redflo Camellia Hair Shampoo: This creamy shampoo helps restore brittle, dull or dry hair, and helps make it up to stronger and smoother for brilliant shine with the fresh Camellia fragrance. Ceramide and Keratin wrap each hair fibre to protect and moisturize your hair from being dry and sensitized. This Redflo Camellia Hair Shampoo is from Somang. The scent is wonderful and doesn't border on nauseousness with a sweet flowery-esque scent. My hair doesn't smell as if I had rolled in a summer field for a couple of hours, in short, the scent is lingering but makes my hair feels fresh, clean and healthy. Suds easily and doesn't take too much effort to wash it off. VERDICT: The scent is actually flowery-esque, but it doesn't border on making me feel nauseous. I have this issue with beauty products that smells too fragrant to the point it makes me gag in the back of my throat. And so, despite this shampoo having Camellia, it luckily doesn't make me feel that way. The scent actually lingers faintly on your hair while making it feel clean, refreshed and healthy, partly I guessed is because of the fragrance and the presence of camellia oil in it. The product itself despite looking all creamy is actually closed to gel-based consistency, hence making the effort of turning it from shampoo to suds relatively easy. And once the almost sud-sy shampoo goes from palms to wet hair, it lathers really well and before long, my entire hair was soaked in the wonderful scent of camellia while at the same time, ensuring my hair is cleaned thoroughly from strand to strand. And after washing off the shampoo, I felt my hair much more manageable in that, it's silky and smooth, almost as if my hair is "brand new". And there's this healthy and glossy shine to my hair that I never encountered in any shampoo before. What I like is that, despite the consistency of the shampoo behaving nothing like what it seems, it actually washes off my hair pretty decently. I didn't have to spend much time on trying to rinse out the shampoo suds and it didn't leave any shampoo residue on my hair either. And luckily, I haven't colored my hair for 5-6 years already, so it actually does wonders to my un-colored hair without making it feel brittle nor dry. And even my split ends didn't look too damaged either. And I am guessing it's probably because of the camellia oil present that helps in my split ends too. And despite rumors floating out there that this Redflo Camellia Hair Shampoo is the Korean version (or ripoff) of Shisheido’s Tsubaki hair product line, I think it's rather unjustly to compare 2 different products. Whereas Tsubaki's hair products have a slew of natural essential oils in their products, Reflo has 2 which is namely Camellia Water and Camellia Oil. And sometimes, it is actually worrying to wonder how a product will smell like if there's way too much essential oils present in it's "ingredient" list. Will it be too weird or will it smell as if there's something lacking because of too much scents incorporated? And hours after my hair has dried up after stepping out of the shower, I am pleasantly pleased that my hair doesn't feel like it's heavy or there's some sort of residue left-over sensation on my hair. In fact, the silkiness and smoothness maintained until my next hair washing regime. And I am definitely glad that the sweet scent of Camellia still lingers on faintly without making me feel like it's overkill. Definitely a shampoo that I would love to purchase on a long-term permanent basis too. VERDICT: Faint flowery scent without bordering on nauseousness and it keeps my hair feeling silky, smooth and manageable. 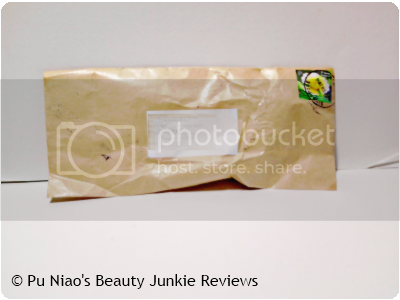 WHERE TO REDEEM SAMPLE: I previously got to redeem a Eco Clinic Organic Hair Treatment Oil from Somang sometime in July last year. But because the stocks still haven't arrived at their counter, the (China, since she doesn't sound local) SA gave me a sachet of this Redflo Camellia Hair Shampoo together with a sample sachet of Redflo Camellia Hair Treatment so I won't feel like I made a wasted trip. And I personally felt it was really nice and sweet of the SA to do that. Most SAs I've encountered will just tell me that sample stocks aren't available yet and hope I would go away empty-handed. But not this Somang SA from Woodland's Causeway Point. Lucidol-L Hair Treatment Water: Penetrating hyaluronic acid: works into hair to capture moisture and comes with Coating hyaluronic acid to coat hair surface and make it smooth. Light fragrance (Green floral scent), quickly rids hair of dryness or bed head. Essentially a non-rinse hair treatment water. 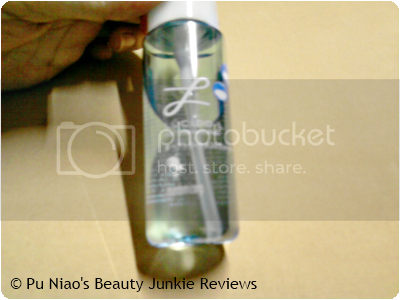 Despite the bottle looking all blue and aqua-y, the product itself is actually a clear solution with a clean floral scent. VERDICT: First of all, let's talk a little bit on the fragrance. Personally, it really depends on the product itself when it comes to hair products. Of course we want our hair to smell glorious and heavenly after using shampoo, conditioner, treatment, so on and so forth. Only back in the 1990s where hair product choices were really small, so we can't afford to be picky at all as long as the product works. Fast forward to now, there's practically a slew of hair products with each product catering to different hair problems and needs. And along the way, we figure out that it doesn't harm to have our hair smelling like a spring romp in the garden after all these years. This product actually has a light floral scent to it and it doesn't bother on being nauseous at all. In fact, if it wasn't for the scent, I probably would have thought it's just a plain old regular hair treatment water. What I like is that it works well on my bed hair, especially long bed hair. I admit that not all of us are actually comfortable with tying our hair up before bed time, since the area that is bundled up doesn't actually get any "air time". Which accounts for particular sweat spots that miraculously pops up on specific areas of our head/scalp. I personally don't really like to have my hair up in a ponytail, not even remotely a braid too. Since the area that is "bundled" up tends to feel hot and sweaty throughout the night, and I personally don't relish the thought of waking up to messy bed hair AND sweaty hair. All it takes is a few sprays to smooth out the kinks and tangles on my hair, without having to use so much energy. And despite hours after spraying this on my hair, my hair doesn't feel oily nor greasy at all. In fact, the smoothness on my hair maintained it's smoothness throughout the day when I shower in the evening or night and washed it off my hair for good. And my hair actually felt even worse if I get stuck in an air-conditioned/cold climate for prolong hours, turning the ends all frizzy and tangled. Even tying my hair up into a bun doesn't escape the harsh treatment I get from being in a cold environment. And because I don't need to literally spray all over my hair, just the areas that are dry, frizzy and need an instant fix, this is definitely one product I would love to buy on a permanent basis. And whether it's a sample/trial bottle or a retail-size bottle, it can actually last even longer with just a few sprays per day. Although it doesn't make my hair looks glossy and I am not a big fan of glossy hair in the first place, what I personally adore is how much smoother and hydrated my hair feels and looks. And with the addition of 2 types of hyaluronic acid, it actually hydrates my dry and frizzy hair pretty well, so much so that this is the only hair treatment product I ever need for my rebellious hair. Personally, this doesn't feel like it's a hair styling product, which is another bonus factor for me. I mean, why would I want the ends of my hair to look all flashy when it's tangled, dry and frizzy, right? And also, I did noticed less split ends on my hair ever since I started using this hair treatment water. Something that other hair treatment products doesn't help my split ends at all. WHAT I THINK: The perfect treatment water for my rebellious hair, need I say more? 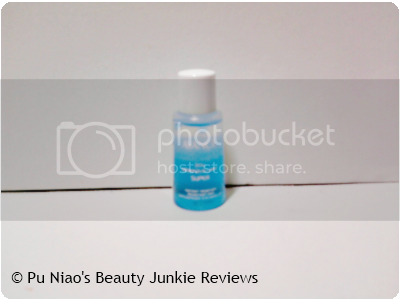 WHERE TO REDEEM SAMPLE: I got this sample bottle from when the postage price was S$2.99 for 4 items. 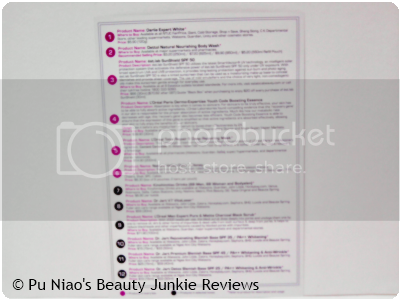 But considering that it's a 45ml sample bottle and you might not necessarily need to use it on a daily basis if you do not have really rebellious and angsty hair, why not consider getting this sample bottle and give it a try before paying slightly more for a retail-size bottle? If you have a sensitive scalp and cannot tolerate oils of any type on your scalp, than I would gently recommend not using or trying this method at all. If you insist, don't say I never warn you. And I will not be held responsible for scalp inflammation of any type. Fans of fragrances love Jasmine for it's uplifting scent while skin-care ethusiasts swoon over it for it's softening properties. And regular spa-goers simply adore it for it's stress-reducing abilities, but then, can Jasmine oil be the ultimate cure for dandruff? Although Jasmine is nourishing and heals the entire body and skin, but apparently a few drops can help treat dandruff problems. And do you know that Jasmine Oil has the power to act as a germ killing agent which in turn helps to cure many infections. My first knowledge of Jasmine Oil being able to help prevent dandruff problems came a few years ago while I was browsing for books in the library. I knew I didn't purposely went over to the Healthy & Beauty section to look for a specific book, in fact, the library near my house is actually notorious for not having new books. So, I wasn't too anxious in looking for any specific new titles, but it didn't help that my mother tend to take her own sweet time in the library. Which thus results in mindless browsing around the library, which will ultimately lead me to the aforementioned Health& Beauty section where all the old books tend to be. I happened to chance upon this beauty book about using natural and organic methods for beauty, and happened to chance upon a particular chapter where the author mentioned about a friend accidentally tipping a bottle of Jasmine Oil into the bath water, in which subsequently, the friend's severe dandruff problems went away in less than a week. And remembering I still had a full bottle of Jasmine Oil lurking around in my bedroom, I decided to give this a try. 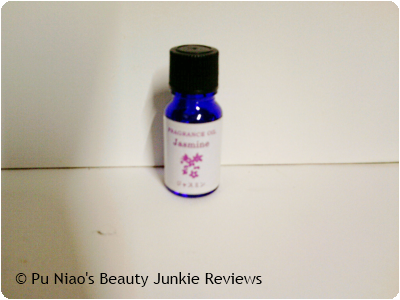 As you can see in this photo, this bottle of Jasmine Oil was purchased in Daiso, instead of the Ayurvedic types meant for direct usage on hair or skin. So, I intended to use this by mixing a few drops of Jasmine Oil into the bath water instead. 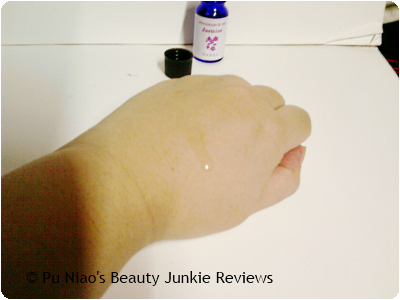 The aromatheraphy oil that can be bought from Daiso enables you to dispense the necessary drops needed. The scent is nice, soothing and relaxing. Maybe this might help in curbing the dandruff issue at hand. Once every 2 days, I would diligently add a few drops into my bath water and use the Jasmine Oil-infused bath water to wash my hair and take a shower as well. And this went on for a couple of months already before I dare to make a judgement on whether it's supposed to be effective or not. And here's the result! Intitially, stepping out of the shower after using my Jasmine Oil-infused bath water, I did noticed less scalp scratching activities. But the non-scratching sort of remained only a day or so, before I am back to scratching my scalp repeatedly. And because I only used this method once every 2 days, I was thinking it might probably be the amount of times I was using it. But I still persisted in my once every 2 days shower regime for another good 2 months or so. And despite my own personal "research" that Jasmine Oil provides the users with a protective covering and makes the hair look glossy. This I can definitely attest to as I did noticed my hair looking glossy with a healthy shine to it, which I can probably attribute to the so-called protective covering it gave when used. However, I did not see my dandruff issue going off, much less become lesser. Instead, my hair smelled great, heavenly and divine without external use of extra hair products to give it that wonderful smell and healthy glossy look. So, I cannot be absolutely sure if Jasmine Oil can actually help prevent dandruff issues. It could be that certain or specific type of Jasmine Oil could be able to do that, instead of Jasmine Oil that is meant for aromatherapy usage. But if I do managed to get Jasmine Oil meant for skin and hair use directly, you bet I will give it a try again. VERDICT: Worth the try, but not seeing anything good out of it. Overall Thoughts: Could be the type of Jasmine Oil I am using that makes it looks like it's not working. But if I do managed to get my hands on Jasmine Oil that is meant to be used directly on hair and skin, you bet I would definitely give this a try once more. Monthly Topic #7: Are you a Big Fibber?